Michael Kovacic believes there is still a lot more to come from Old Elthamians despite their excellent start to the National One season. The 25-year-old forward joined OEs at the beginning of this campaign and his side currently find themselves second in the table after eight matches. Old Elthamians are also just one point behind current league leaders Caldy heading into Round Nine as the men from College Meadow continue to write new chapters. Last season, OEs finished in sixth place in their maiden campaign at this level and the Mottingham club are once again aiming for new heights. 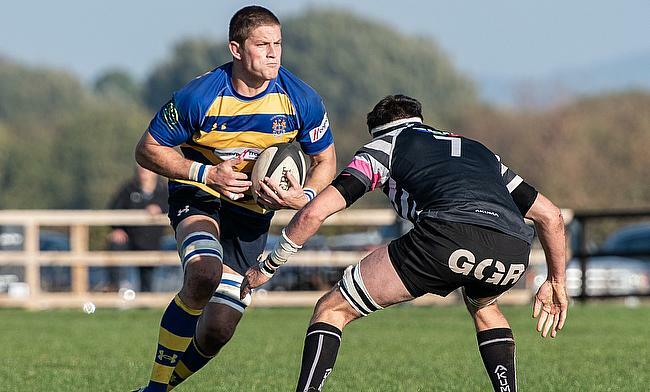 Director of Rugby Gavin Lach has guided his side to five promotions in eight years and even though they’ve begun this season strongly, Kovacic admits OEs can improve as they target top spot. “Gav [Gavin Lach] got in contact with me about my move and it went from there. Overall, the professionalism and everything the club offer is second to none to what I have experienced. “Everything is there for you to perform and it is up to us do it on the weekend. “It is funny at the moment because I know we are eight rounds in, but even though we are sitting in second place, we know within our group that we are nowhere near where we could be and probably should be. “Whilst from the outside it looks like we are going well, it has been a bit frustrating. The game we lost this year [against Sale FC] and the draw we had against Chinnor are matches we feel we should’ve won. Kovacic, who originates from Australia, was a New South Wales U19 representative before playing for Eastwood in Sydney where he won the Shute Shield on two occasions. He also appeared for Sydney Rams as well as the Sydney Stars before moving to England and the lock feels he’s had to adapt to the style of play in this country. “Moving over to England is good because you learn the different outlooks which you can have on the game,” Kovacic added. “The skill and the aggressive attacking nature in the Shute Shield is probably a bit more than in National One, but the physicality over here and the work we do on line-outs, mauls and the set-piece is definitely more than in Australia. Before joining Old Elthamians, Kovacic’s first club in England was Championship side Richmond following a move to the Athletic Ground 12 months ago. However, he failed to really establish himself within the first team picture and any hopes of nailing down a starting place were dashed after he picked up a knee injury which ruled him out for the rest of the season. His decision to choose Old Elthamians as his next step seemed to be a ‘no brainer’ for Kovacic and he admits the ambition of the club was a key factor in him joining the National One outfit. “I made the switch from Richmond because I wanted something different,” added the Slovenian international. “I became a bit lost there, but when I eventually got into the first team, I picked up an injury so it was a frustrating process. “What I found hard at Richmond was that they were comfortable being in the Championship and surviving in the league so the one thing that attracted me to Old Elthamians was that they are ambitious. “They want to go up, they want to get better and they want to win. In Sydney, that was what Eastwood was like. 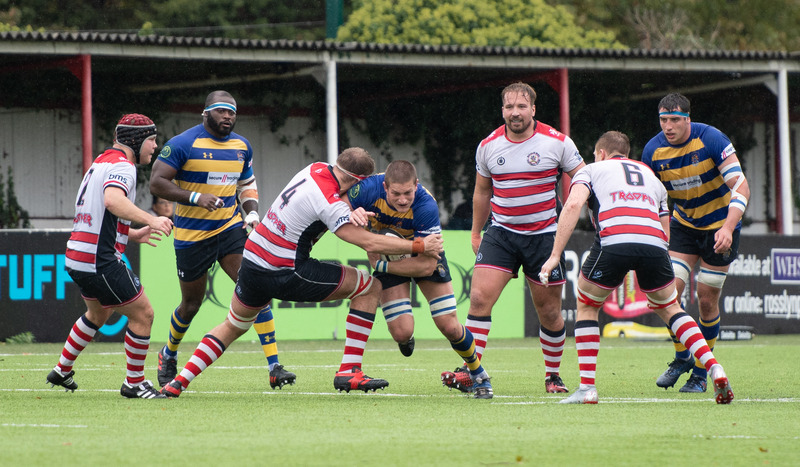 Old Elthamians are certainly determined to reach for the sky this season and next on the agenda for Kovacic and co is a home fixture with Esher this weekend. OEs have won all three matches at College Meadow this term, while Esher currently sit in the relegation places as the second month of the season comes to a conclusion. However, despite enjoying their success at home, Kovacic feels their performances on the road must continue to get better if OEs are to achieve success this season. He said: “It is a lot more comfortable at home. Obviously, I think every team feels like that! Our facilities are second to none. The ground is beautiful so that allows us to play that open rugby which we are used to so we do have that extra confidence at home. “Looking at this week, we have got to do the job at home, but what we can improve on are our performances away from home. The week after Esher, we have got Plymouth. Kovacic is hoping he can now contribute to Old Elthamians’ season this year as the club aim for the top spots in National One. The second-row, who plied his trade as a flanker in Australia, has already had an impact for OEs as he scored his first try for the side against Loughborough Students and now he is keen to help the club push on to achieve their ambitions. “Getting a lot of footy under my belt and improving where I can throughout the year is the personal aim,” Kovacic said. “I am still in that new phase where I am getting used to all the structures and everything, but if I can improve each week and continue to do my job, the place in the team will look after itself and hopefully the wins will do the same. “First and foremost, as a club, the aim is promotion. We have set that benchmark which I think is good. I think a lot of times when you are goal setting, you tend to beat around the bush and don’t want to set something too high in case you fail, but right from the outlook it has been promotion. “I know it is only Round Nine this week, but it is something we are all leaning towards.